Spin to win Siberian Storm online slots today! There are loads of FREE spins and loads of chances to win with 720 paylines! Good luck! 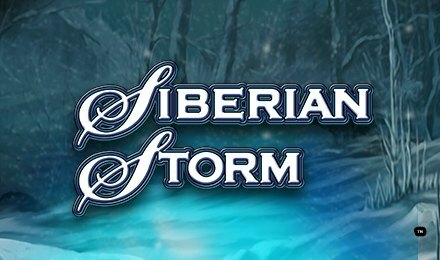 Play Siberian Storm Slots today – it’s a guaranteed good time with stunning graphics and LOADS of chances to win! The online slot game has your typical 5 reels, but 720 paylines! The Tiger’s Eye acts as your bonus symbol, which can trigger your FREE spins! This symbol can also be stacked, which means you can get LOADS of FREE spins! You’ll start with 8 and can get as many as 96 plus retriggers!